A baby shower is the perfect time to show off of your decorating skills... and we don’t mean wallpapering and paint rollers either! You may be worrying that your party decor skills are limited, but fear not, as that’s where we come in. 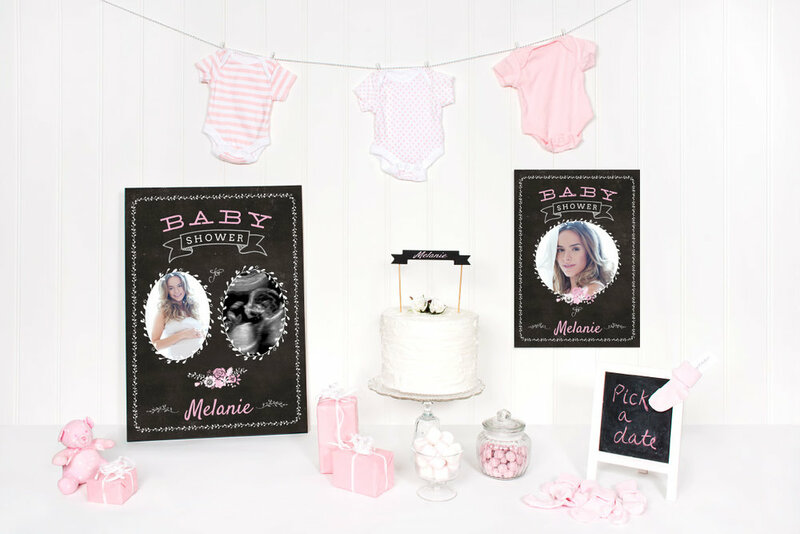 We’re going to give you the best guide to making your baby shower sparkle. It’ll be so good that your friends will be asking you who your party planner is, to which you can reply (*smugly*) that you did it all by yourself! Every guest’s favourite part of a party is the food and drink. They’ll pretend they’ve come for the celebrations, but really all they care about it the party buffet. The way you display your food and drink can really be a great talking point at the baby shower party. 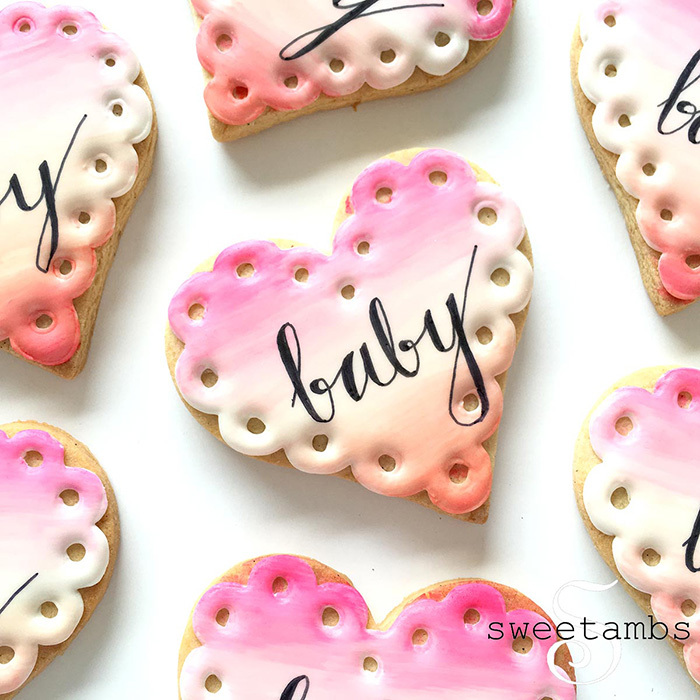 There are the classic ideas of pink or blue iced cupcakes or dummy/bottle shaped cookies which everyone enjoys. You could also think outside the box a little too. Create a blue or pink drink, such as pink lemonade or blueberry mojitos (mocktail or alcoholic), to represent whether you’re expecting a boy or a girl. If you’re opting for a surprise and don’t know just yet, make both! It’s simple enough to make finger sandwiches or pinwheel sandwiches made from wraps, and display them nicely on the table and you can use a variety of fillings to bring colour to the table. Another option is to use a cookie cutter to make the sandwiches into shapes such as hearts or bottles to have a little fun with it. Whether you’re having a sit down meal or a party buffet, it can be a nice touch to create some centrepieces on your table. Floral centre pieces are ever popular and can be oh so beautiful, but you could jazz them up a little. We love the idea of floral domes; you can easily create these by cutting an edge off of a foam ball so that it lies flat and then inserting the stems into the ball after it’s been soaked in water. You can display these flat on the table or on the top of cake stands. You could also create your own rustic vases, by using old containers such as milk bottles or jam jars, and decorating with twine, hessian or lace. Just make sure they all match as closely as possible or there are even numbers of each; otherwise it could all end up looking a little haphazard. These homemade displays would look especially beautiful with home picked flowers. There are so many other options when it comes to decorating your house for a baby shower. You could create hanging paper garlands, in blues, pinks or a rainbow of colours and patterned paper. This will create a beautiful backdrop, especially to your buffet table. Bunting is another cute option for a baby shower and you can personalise it to say whatever you like too, whether it’s ‘congratulations’, ‘bundle of joy’ or ‘baby girl’. An extremely popular DIY project for baby showers on Pinterest is paper pompoms. These are simply made with tissue paper, wire or small elastic bands and scissors and they look beautiful when hung from the ceiling or simply placed among dishes on the table. A homemade mobile is a great idea for a baby shower decoration too, because once the party is over you can still use it for above your baby’s cot when your little one arrives! Finally, make balloons prettier by wrapping them in tulle and securing with a jewelled hair-band or elastic and a jewelled clip. It’s always nice to thank guests for coming to your baby shower by sending them home with a little gift. After all, they probably arrived with a present for your upcoming arrival. It can be difficult to pick something you think everyone will like, so it’s safe to go with sweets or cake. Another idea, if you’ve used home-made vases with flowers is to give these to guests as they leave. It may be a nice idea to personalise a small gift for them, whether it be their name in icing on a cake or a little badge. If the weather is good enough, you may consider holding the baby shower in the garden. This gives lots of scope for decorations. You could hang decorations from any trees you may have or even from the side of the house. As we already mentioned, small vases of handpicked flowers will look lovely on the table in the garden. Plus, the sunshine always makes everything look better! Use your outside space to take the celebrations fluidly from inside to out. This photo contains our Blackboard Baby Shower theme posters. One with 2 photo spaces and the other with 1. This is also available in blue and yellow and all have matching banners and bunting flags too. How to make your little one's party go with a bang!